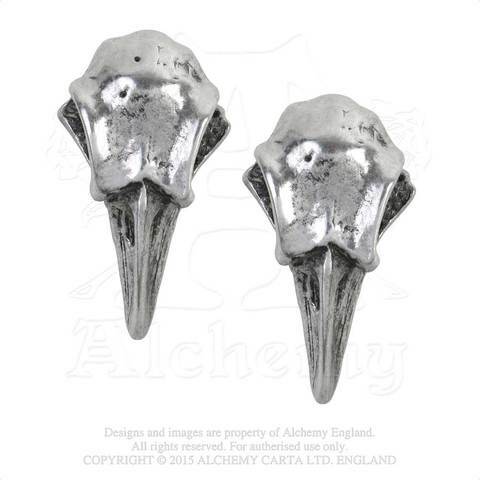 Beautifully designed ear wear in fine English pewter by Alchemy Gothic. Sloping as if carried by the victim to be, the black arrow-headed cross urdee is a sign of abject mourning. 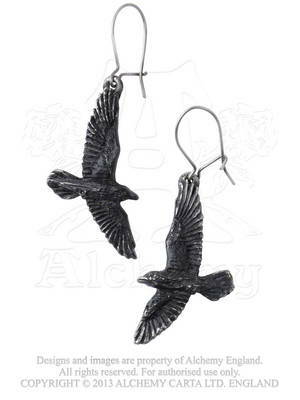 This pair of small, black enamelled pewter crosses are suspended at an angle from the crossbar end, on fine black chain. The ear-wires are made from stainless steel. German for "raven's skull"; the great black bird is famous for it's prophetic powers, being Odin's messengers and capable of foretelling the future. A conspiracy of ravens will always be seen feeding at a well-stocked gibbet. The radiance of the winged dome's soft glow emanates from the intrinsic fire of a Seraph, the celestial angels ordained to bestow charity and to protect God's throne. Sold as a pair. The eye of God, shedding tears of grief for humanity as he regards the world from the highest firmament. Pair. The perfect miniature, 13-hour Lunar time fob watch and its accoutrements from the Victorian era, ingeniously cuffed and pinned around the fortunate dandy’s ear. 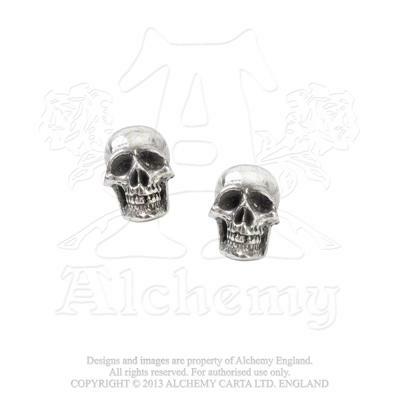 Single earring..
A romantic motif concealing a secret libertine passion for wine and sensual pleasures. Pair. Skulls staring deeply into the oblivian of a long-past mortal existence. Pair. Dark and sultry companions make sure your admirers do not underestimate your character. Pair. 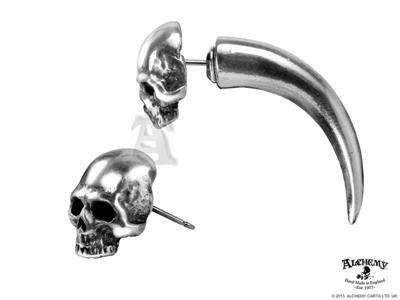 Faux Ear Stretcher. Single earring. 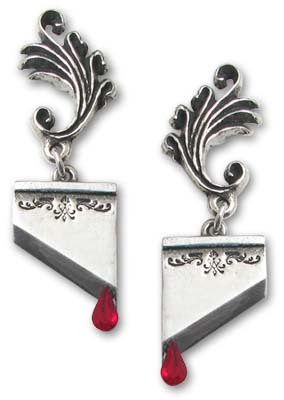 Miniature guillotine blades, bearing the last traces of aristocratic life. Pair. 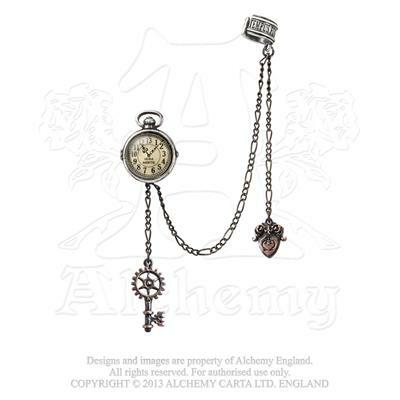 Please allow additional time for shipping these items since they are coming from England.